Review: This one has been on my wishlist for quite some time. Sometimes when you wait and wait and wait for something, when it finally comes, it can be a little disappointing. Unfortunately that was the case with this read. I chose to listen to this one in audiobook. I was hoping for something insightful, something I hadn't heard before but this was broken down into short chapters, some of them just as short as a single joke and the others merely an extension of the monologue that she does at the start of each show. There were moments in the book when I laughed out loud, there is no question that this is a very funny woman and I do find her stories entertaining. So if you are looking for some entertainment during a holiday or a long car journey then this is definitely going to be the book for you. Because this was an audiobook and is read by the author, Ellen does sometimes address the audience. I liked this style and found it particularly spooky when she was picturing us reading or listening to the book and 'maybe you're looking at a view of the mountains in Colorado' I was driving along a particularly picturesque road in Denver, looking at the snow on the mountains! 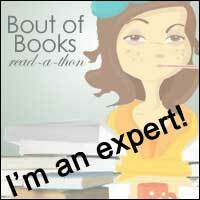 I did enjoy the way the book was structured and I did find it entertaining. I would definitely recommend listening to this on audiobook because it is read by Ellen and so you will have the jokes told with her timing and hear the way she talks about the language that she uses. 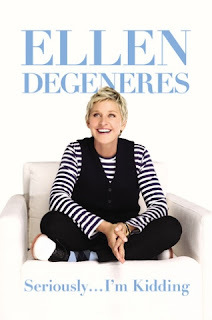 I was hoping for a little more with this read though and I really hope that Ellen will bring out an updated version or another version of her memoirs for me to really get my teeth into! To order your copy and see for yourself, click here!